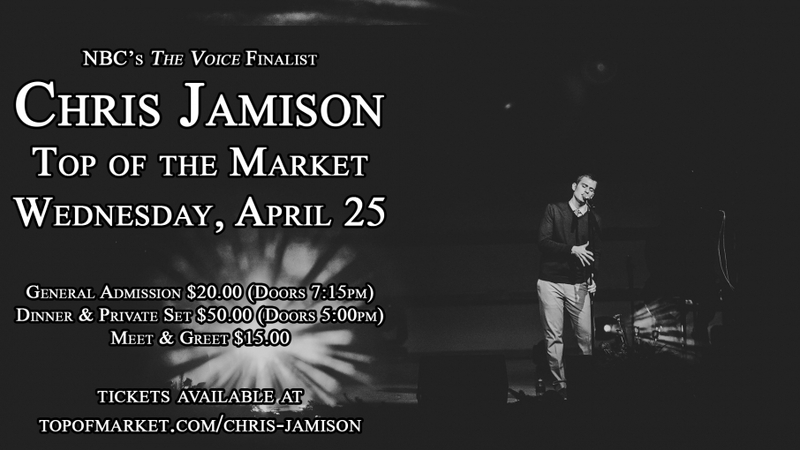 Join us here at The Deli & Top of the Market for The Voice’s Chris Jamison live on Wednesday, April 25th! Enjoy a private set with dinner at 6:00pm, or join us for the general admission show at 8:00pm! For tickets and more information, visit topofmarket.com/chrisjamison! Check out some photos of Liftoff Entertainment‘s Dayton Adult Prom, hosted Saturday, March 3rd, 2018 here at Top of the Market! Proceeds from the event were donated to A Kid Again, which helps support families with children with life-threatening illnesses. Check us out on Fox 45 News with Elyse Coulter from 1/15/18’s Morning Show! Mark walks us through the history of the Railman, and shows Dayton how to make The Deli’s signature Railman sandwich! We hope that everyone had a happy and safe New Year’s Eve! The Deli is ready to welcome 2018 with open arms – our holiday break is over and we will be back to regular business hours tomorrow, Tuesday, January 2nd at 11:00am! Have a great day and we will see you tomorrow! We hope that you had a Merry Christmas yesterday! 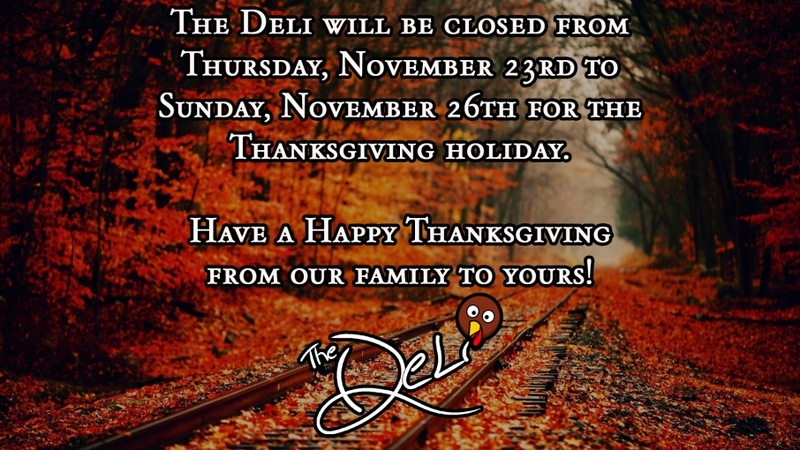 Here at The Deli, we are going to keep spending some time with our families for the rest of the week – we will be closed today through Monday, January 1st, 2018. We will be back in action on Tuesday, January 2nd, 2018! Enjoy the rest of your day, your week, and your year! 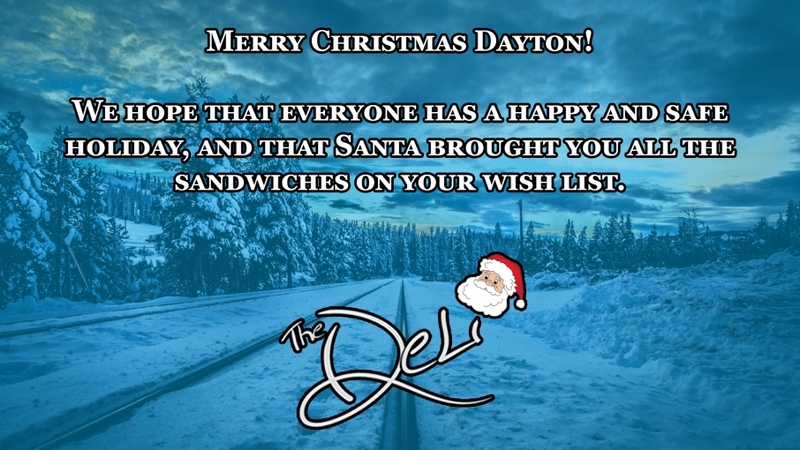 The Deli & Top of the Market would like to wish the good people of Dayton a Merry Christmas! We hope that everyone has a happy and safe Christmas, and that Santa left all the sandwiches you could ever want underneath your Christmas tree. 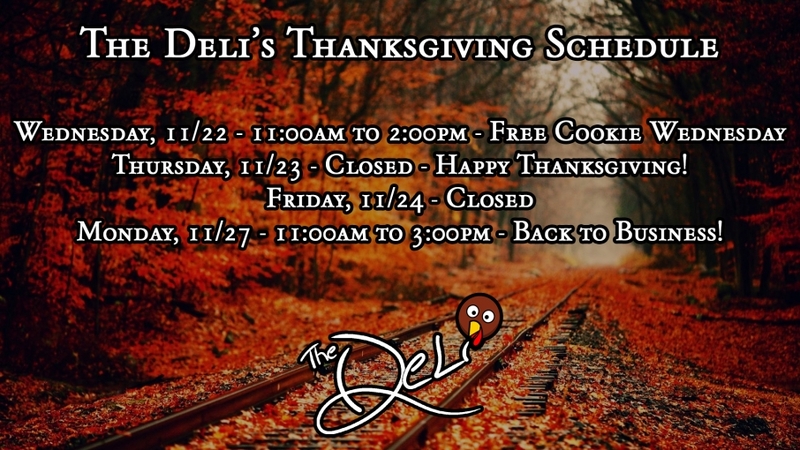 As a reminder, The Deli will be closed today through next Monday, January 1st, 2018. We will reopen for regular business hours on Tuesday, January 2nd. We are going to enjoy our Thanksgiving with our family, and we hope that you do the same! We will be closed both today and tomorrow (Friday, November 23rd) for the holiday. Have a wonderful weekend and we will see you back on Monday, November 27th! The Deli & Top of the Market will be closed today for Labor Day. We hope you’ve enjoyed your extended weekend and we will see you tomorrow for the beginning of Railman Week! We’ve got another throwback Thursday! The top photo was taken on May 29, 2006 and the bottom photo was taken on August 10, 2017. As you can see, so much has changed! The most obvious change is that the wall is now red. There is no longer a banner painted above the elevator. The wine cabinets have been replaced with a newsstand and our Lipton cooler. The tile flooring has been replaced as of November 2015. Our butler has found other employment and has been replaced by Dezarae diligently decorating our soup board. A slightly more subtle change is the doorway leading into our Warehouse banquet room – our golden doors aren’t yet installed in the top photo. The plants have been replaced by some wonderful sunflowers provided by @sherwoodflorist, and we’ve moved our antique stove into the lobby. Much of the lighting remains the same (although we’ve seem to have misplaced the rockin’ Miller Genuine Draft guitar neon). We’ve added a few TVs, including two that now display our menu. 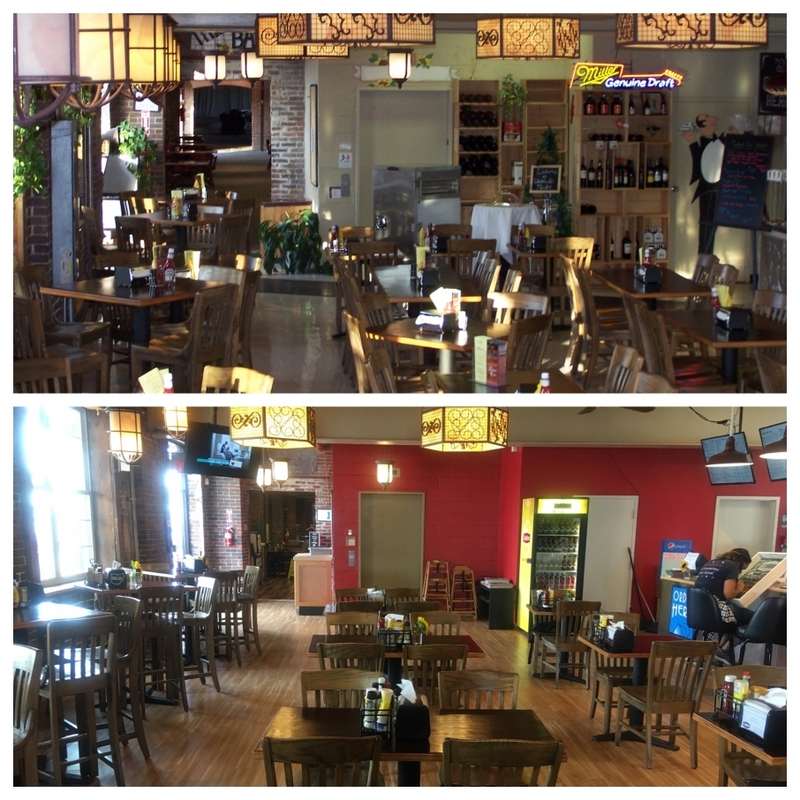 Lots has changed in the last eleven years and we hope to keep growing and improving every single day! We would love to see if you have any or can find any photos of our building, inside or out, from any time period. If you ever visited the Webster Street Market, rocked out at Seven Timbers Live, attended one of the first events at Top of the Market (when it was literally on top of the Webster Street Market), or even knew The Deli when it still had the glass display case – let us know! Send photos to info@thedeli-dayton.com with any information that you can (date the photo was taken, who took the photo, website or resource where you found the photo, etc). Anyone that sends us a photo that we use will receive a $20 gift card for The Deli!